Jonathan Hammond will reprise his role as Houdini in the Broadway revival of Ragtime. Hammond played the role last April at the Kennedy Center. 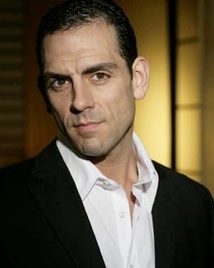 This marks the award-winning actor’s Broadway debut. Ragtime will begin previews on Friday, October 23 and will officially open on Sunday, November 15, 2009 at the Neil Simon Theatre at 250 West 52 Street. Tickets are on sale now. 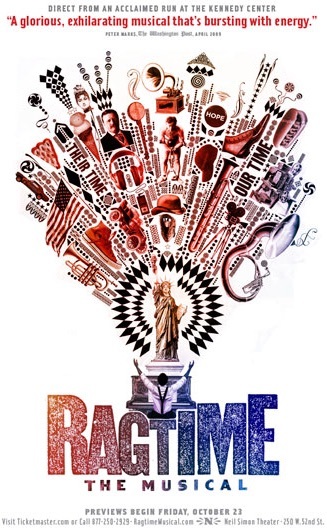 A new poster for the upcoming Broadway revival of Ragtime has been revealed on the official website, and as you can see in the image above (if you look closely), the poster includes Houdini among its collage of images. This is a first. While Houdini made it onto various cover art of the original E.L. Doctorow novel, adverts for the 1981 film and the stage musical have been Houdini-free...until now. Featuring direction and choreography by Marcia Milgrom Dodge, Ragtime will begin performances Friday, October 23 and officially open Sunday, November 15, 2009 at the Neil Simon Theatre at 250 West 52 Street. 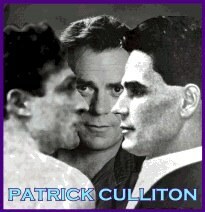 Is Patrick Culliton about to reveal Houdini's secrets? Renowned Houdini expert, actor, and author Patrick Culliton (aka “Houdini’s Ghost”) has posted on his website that he will released a new book called Houdini The Key on October 4, 2009. As with Patrick’s seminal two-volume set, Houdini Unlocked, the book promises to be limited and instantly collectible. Patrick’s description of the book is intriguing. I can’t quite tell if he’s being ironic, or if he truly intends to blow the lid off of Houdini’s greatest secrets (and Patrick knows them all). Guess we’ll find out on October 4. 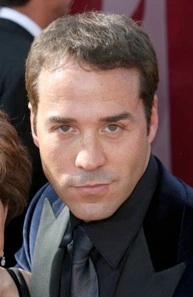 Entourage star Jeremy Piven tells CenterDaily.com that he would like to play Houdini one day. Piven is currently starring in The Goods . 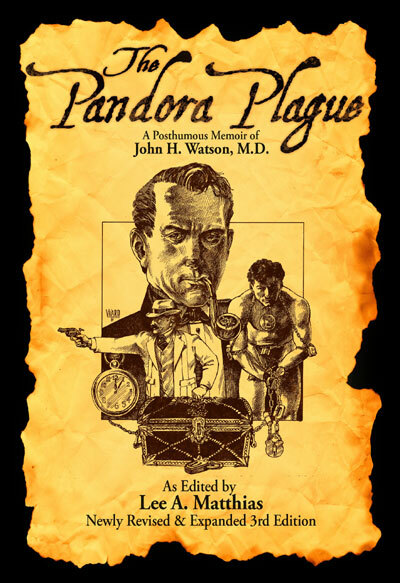 First published in 1981, The Pandora Plague by Lee A. Matthias was one of the first books to team Houdini and Sherlock Holmes in a fictional adventure. * Now author Lee A. Matthias and BookSurge have published a newly revised, expanded and annotated edition of this long out-of-print novel. London, 1902: The theft of an unusual pocket-watch brings famed magician, Harry Houdini, together with the world's foremost consulting detective, Sherlock Holmes. When it leads to the appearance of a mysterious locked strong-box, it becomes a case that rocks the British Empire to its core. When the magician is blackmailed in order to best the box's lock, Holmes and his ally, Dr. John Watson, expose a plot against the crown, itself. Only Holmes's immense intellect, combined with the "Official" resources of his equally brilliant brother, Mycroft Holmes, can penetrate the mystery in time. In the tradition of Nicholas Meyer's "The Seven-Per-Cent Solution," and "The West End Horror," author Lee A. Matthias recreates Sir Arthur Conan Doyle's magnificent style and characters in "The Pandora Plague," a rip roaring adventure full of magic, mystery, and murder. There is also an official Pandora Plague website with background on how the book came to be. *The very first appears to have been a 1908 German dime novel called Auf den spuren Houdinis ("On the Trail of Houdini"). “Harry Houdini spent his non-magical life debunking the notion of a spirit world. 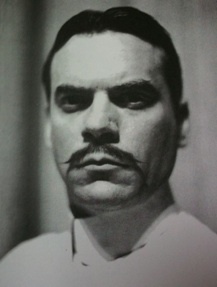 He had an ongoing feud/relationship with Sir Arthur Conan Doyle about the existence of an after life. Spirituality was big in those days and Houdini so completely debunked a seance that he and Doyle attended (Houdini, being a magician, knew everyone's tricks) that Doyle asked him if he wasn't himself channeling the spirit world. I thought it would be cool irony for someone who did not believe in ghosts and spirits to end up as one and to then decide to try and rule a corner of it. 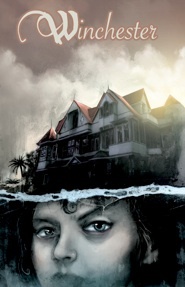 Longtime readers may recall I visited the Winchester Mystery House in 2006 and reported on the Houdini connection. UPDATE: Houdini haunts Sarah Winchester #1. Patrick Culliton, renowned Houdini expert and author of the two-volume Houdini Unlocked, will give a lecture on the infamous Houdini-Hodgson challenge at the 6th Worldwide Escape Artist Convention in Ontario, California. Patrick promises new revelations about this, one of Houdini’s most physically taxing challenge escapes. The lecture will take place on Sunday, October 5th at 10AM. Hosted annual by Cannon’s Great Escapes, the 6th Worldwide Escape Artist Convention will be held October 2 through 5 at the Doubletree Hotel Ontario Airport. For more information visit the official website.